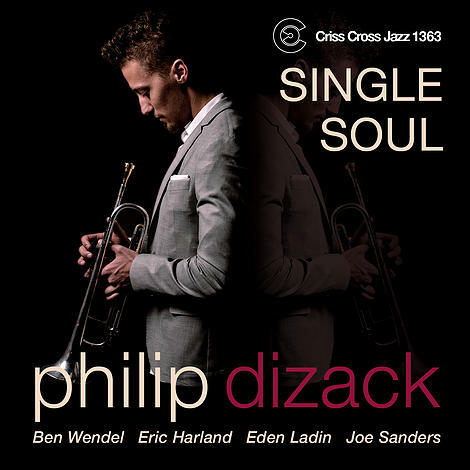 For his Criss Cross debut, 28-year-old trumpeter Philip Dizack presents a suite of seven originals, an a cappella reading of Duke Ellington's I Got It Bad And That Ain't Good , and a trumpet bass duo of Lionel Loueke's Benny's Tune , that displays his exceptional maturity as a composer and facilitator of memorable improvisations. Providing the latter are multi-woodwindist-composer Ben Wendel on tenor saxophone, pianist Eden Ladin, and the kinetic bass-drum tandem of Joe Sanders and Eric Harland. 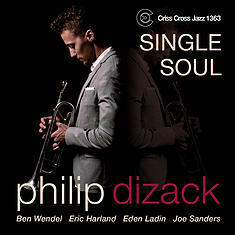 Dizack himself enhances his ascendant reputation as a master of his instrument, displaying enviable range and consistent melodic invention, projecting deep emotion, and always telling a story.